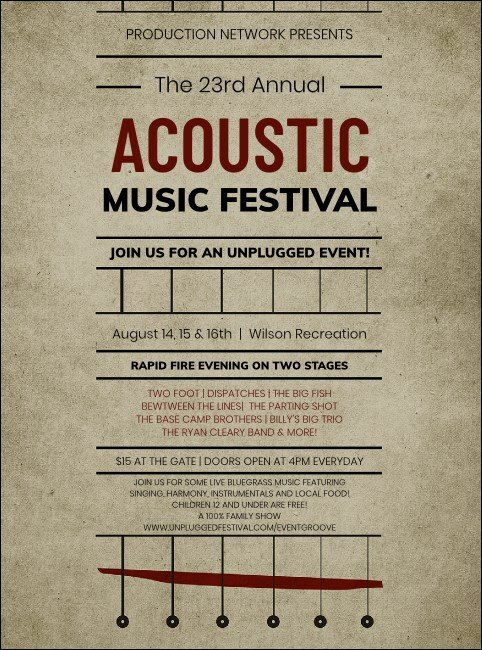 Stay in tune with the best pre-event advertising you can find when you print Acoustic Strings Flyers and post them before your event. These Flyers feature a unique, faded gray background and feature seventeen lines of burgundy and black text so you can include all the details about your next show. Get in the groove of great advertising with TicketPrinting.com.